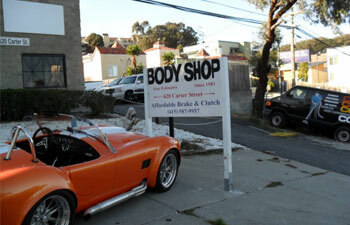 Our auto body shop in Daly City, CA uses the latest collision repair technology to get you on the road! We know that having to pay out for unexpected collision repair work can be stressful, see if we can help! Whatever your auto body service or collision repair needs, look no further, get in touch with us today! J & M Auto Body convenient location is perfect for customers living in the areas of San Francisco, Brisbane and Daly City, CA! At J & M Auto Body, our auto body facility has a total of 8000 sq/ft indoor space, along with six lifters, two frame racks and a spray bake paint booth, plus approximately 23 car spaces in a gated parking lot. There are three administrative offices and a waiting room, so customers can feel comfortable watching TV while paperwork gets done. There are two bathrooms one in the office and one outside for customers’ convenience. With over 36 years in business, we are sure our facility can meet today’s standards in the collision repair industry. As a company, we strive to give you high quality with honesty, integrity, and fairness. In addition to being an auto body and auto collision repair center in Daly City, at J & M Auto Body, we provide quality workmanship and superior service in everything we do. At J & M Auto Body, we know that having your vehicle repaired can be an inconvenience and interrupt your daily schedule. To help make your visit to our shop a pleasant experience, we provide a drive-up estimating bay and have designed a customer-friendly waiting area to make your visit as comfortable as possible. Feel at Home at J & M Auto Body. Our spacious waiting area includes comfortable seating. You can help yourself to coffee, water, or tea. Our waiting room and restrooms are fully wheel chair accessible. Your privacy is ensured once the estimator has your estimate ready, they’ll go over the details with you in one of our private offices to ensure that your repair is handled discreetly. And if you have any questions about the repair process, our friendly and knowledgeable staff will have an answer. “Erick and the team at J&M Auto Body are the best in the business. After hitting my 2011 Explorer and scraping up against a low cement wall as I was existing a parking garage, I brought my Explorer to them with damage to the passenger side (both front and back doors). After having gone to several other shops and being told that both of the doors would need to be replaced which was way out of my price range and frankly the damage didn't seem to me to need to replace the entire doors, I met with Erick. His auto body and detail services were able to keep the existing doors and ultimately make them look brand new again. I was so shocked when I picked up the car I was speechless and almost burst into tears (literally). Not only are the J&M team true craftsmen but they are good, honest men. You rarely find that in auto service businesses these days. “I got rear ended on 11/22. Dropped it off 11/24. Picked it up 12/04. “I recently had the pleasure of doing business with David at J&M Auto body due to a car accident. He did a spectacular job on my car and in a timely manner. I only have great things to say about David. He guaranteed me that if I ever had any issues related to my car I could always bring it back and he would take care of it. I felt very confident I chose the right auto body and I am glad I went with J&M. David is trustworthy, reliable and he will ensure the work he does on your vehicle is 'Grade A' quality. “I have been going to this shop for at least 25 years, it was previously owned by Clyde. But I always stay faithful so I tried David G. and he is really great. We had some incidents with vandalism and both of our cars were in the shop at the same time and we were extremely happy with the work and service at J & M.
I would highly recommend this shop, I'm insured with AAA as well as work there -so I could go anywhere for my auto work. 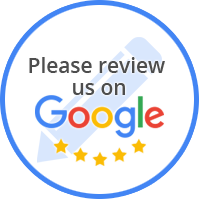 “My experience with J&M was very awesome, and many would agree with me as they have been open since 1983. I have visited several times and for different procedures and each I leave very happy. No upsells, no fakes, and no bullsh!t. David G. is straight to the point and will try to accommodate your schedule. His lot is always full so call ahead of time.